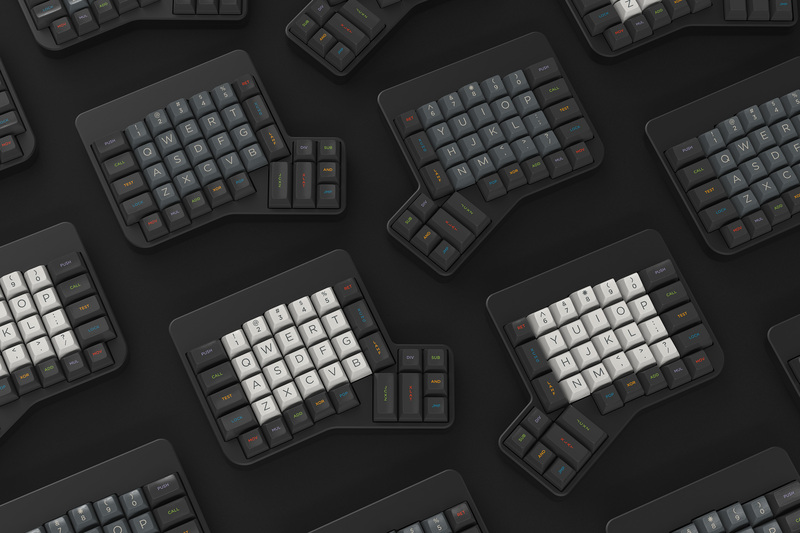 Buy VIM Caps and Colevrak Extension now! I am a programmer by trade, and my go-to color theme is the Oblivion one available in Xamarin Studio (and possibly other IDE's as well). I want to mimic the idea of SA Penumbra to draw the color palette from a code coloring theme, in their case the solarized palette. So don't be surprised when you see similarities between this set and the famous Penumbra one, but far enough to not be a straight copy of it. Check the dedicated project page for the kits! I'd like to thank and greet everyone who made this project possible. 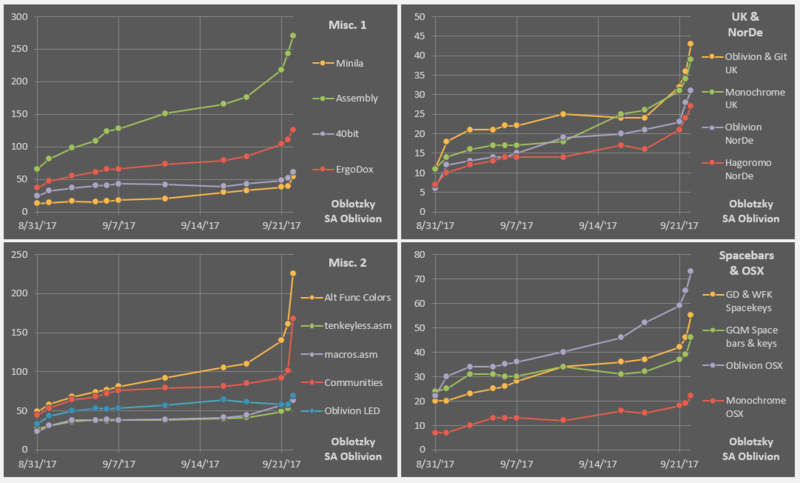 Paolo Borelli, Etienne, Gregor, evangs, ctzn_voyager, Linus Torvalds, the Software Freedom Conservancy, Massdrop, MiTo, t0mb3ry, Quakemz, Zambumon, kingnestea, tokyocoffeenerd, matt3o, rama, Ryan Uber, thinman, jchan94, LivingSpeedBump, Engicoder, jtm_sea, maxhernandez, skullydazed, thesiscamper, a unknown chinese enthusiast and last but not least everyone else from the MKB community for their requests, votes and of course compliments! I hope I have not forgotten anyone! P.S. : how does Granite cover these colors? It's a light set, as opposed to this one, which is dark. Maybe you meant Dolch? In the sense that it's a gray base, that's pretty much it. 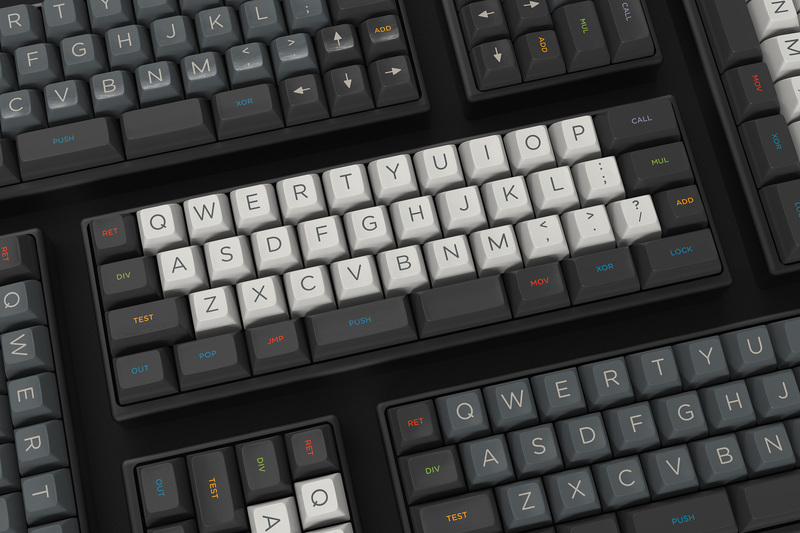 Just wanted to underline that SA lacks a gray set at all while other profiles have similar options already. I actually really like this . Hope it gets made in any profile (if SA, all R3 pls). 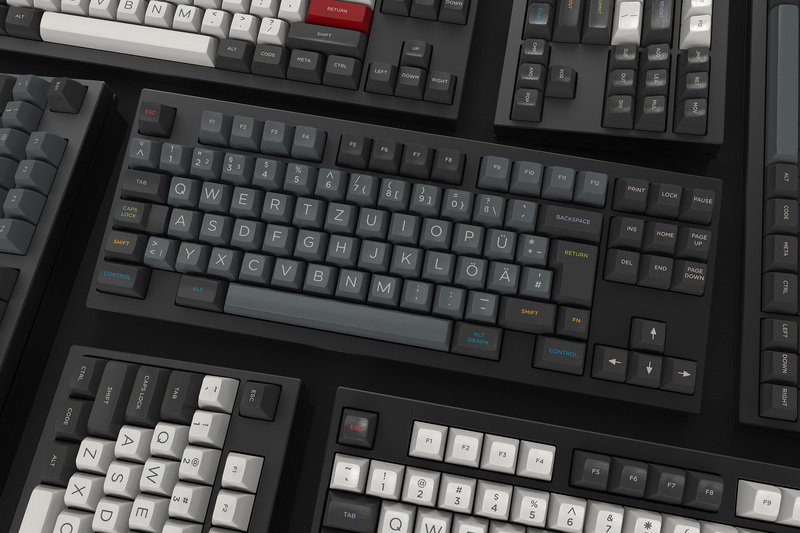 Would LOVE a GMK one. 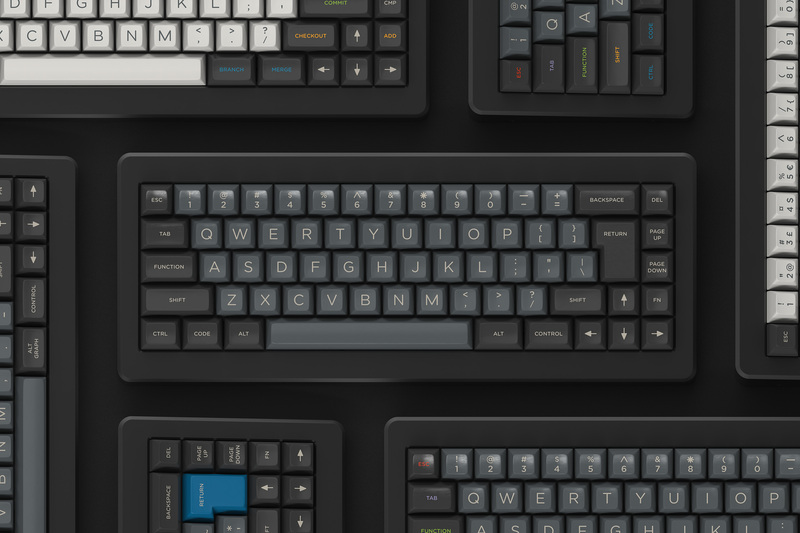 It looks really like a SA version DOLCH. Very classic color matching. Good! I like it, but try to work more of that purple in there! Enjoying the look of this. Please please please make this happen. I would buy all the kits . Also SA 1-1-2-3-4-3 pls. This is a neat set. Like a cloudy Penumbra! If this happens, there's a good chance that I'm going in. 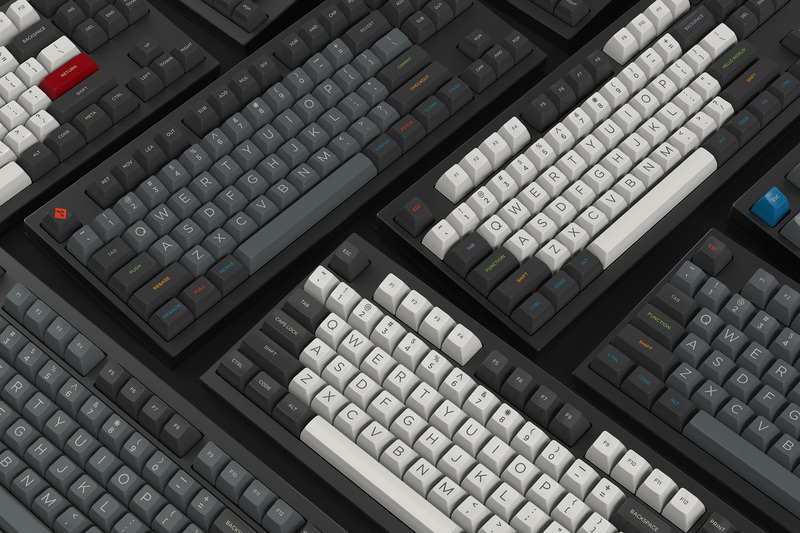 SA or GMK for me. Two birds one stone? The color would be applied to the FETCH keys of the Git Kit as well then. Regarding row profiles, I have no clue right now. Will have to gather data from a survey first I think. Will run one once the Kits are more finalized. I reckon this'd be a cheaper than usual kits from SP should this be an SA kit. Edit: in SA 1-1-2-3-4-3 of course! #2 Changed WIN keys to the Orange-Red shade, wasn't too happy with Purple there and both Purple and Orange-Red as shown in my previous reply was too busy. Git Kit colors have been adjusted accordingly, the examples haven't yet though. 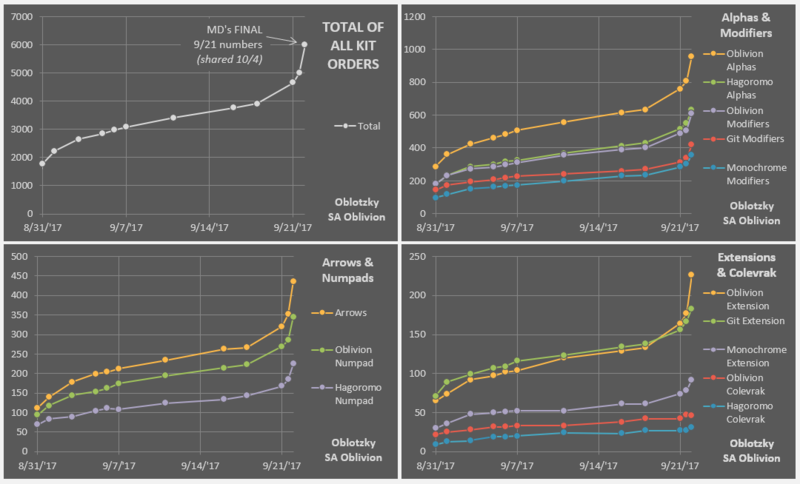 @Oblotzky: GMK kets would be nice, but, it would be lower than the oem keyset on your Filco I'd say. Edit: not necessary a bad thing to prefer a lower typing height. Looks interesting, wish I could just say I'd add it, but MOQ for the original set needs to be met primarily. This looks fantastic! Good luck bringing it together, I'm definitely in for either SA or DSA. GPA looks too dark if refering your render, how about GO/GY/GA? Oh man, the git mods will seriously increase my geekness attribute in the workplace. 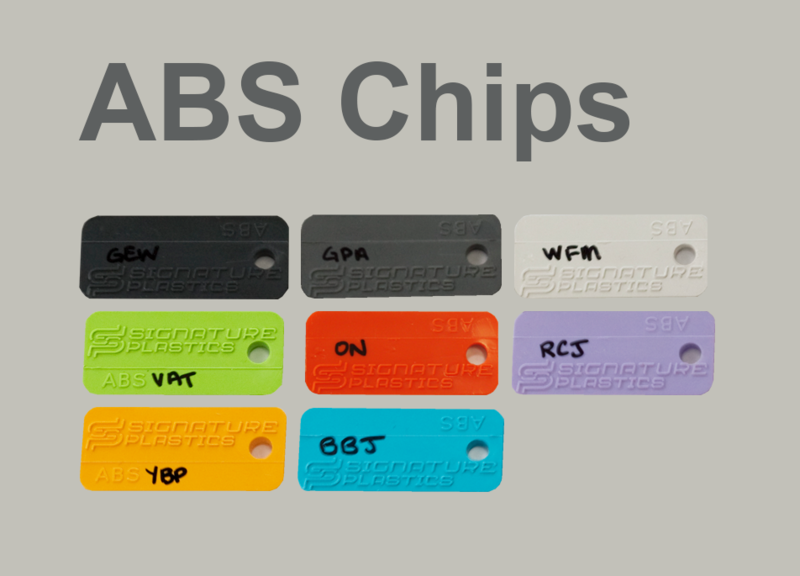 git logo novelties: https://git-scm.com/downloads/logos ; I prefer the authentic orange on white for Esc R1, and white on dark gray for 1¼/1½ mods. This is also a perfect opportunity for git logo+text in orange on white, though I'm not sure where, maybe for enter key? Logos are covered under CC license, I'm sure SP won't object. So far I have used the same shading used in keyboard-layout-editor.com, the actual color value is only used for the base there, while the shiny top uses a brighter shade as would be the case in real life with more light exposure. I'm not certain how to do it as realistic as possible, but I think it should also be known that renders are never 100% the same as the finished product, that is why I added an image for the chips to be used. I will do another set of images tonight with the top shading removed the and color picked from the color chips directly (by averaging a 32x32 pixel area). They won't look as fancy, but should give a better idea of the finished product. 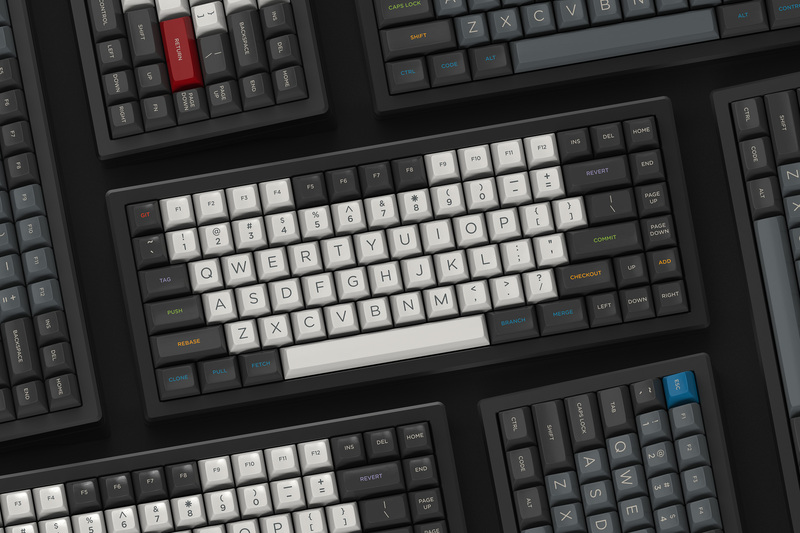 Git logo as an alternate ESC key is a very good idea, I think I will limit it to ON on GEW colors though as the Git kit will only come in dark even if the Chalk Modifier kit were to be part of the final GB. And the license shouldn't be an issue it seems. However I disagree with using it in combination with text on other modifiers. 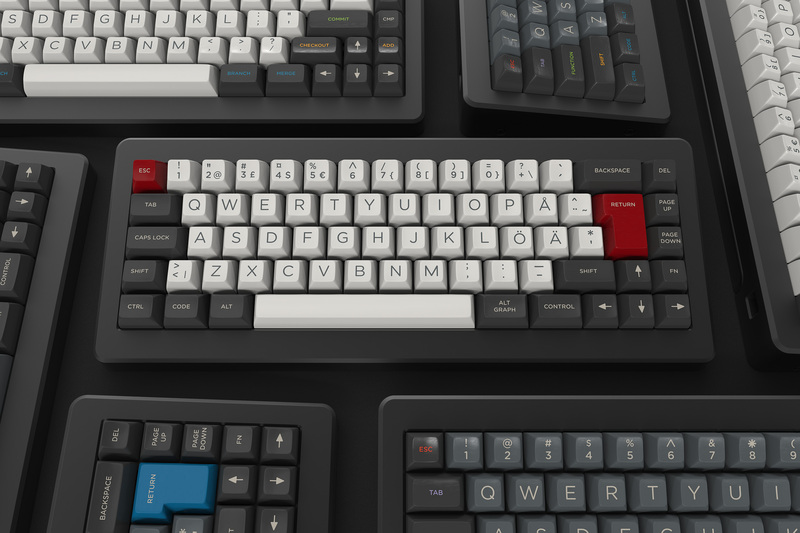 IMO thats fugly and my biggest beef with GMK sets, they stand out too much and break the uniformity. Regarding additional sets, I really need some help here. I know very little about keyboards that go beyond the "standard" stuff such as my own Filco. 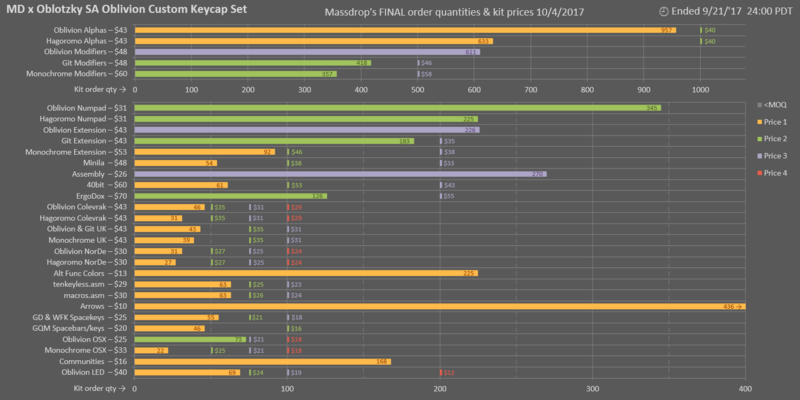 I think I can't just copy the required keys from other sets like Godspeed or so as I believe they also include some additional variation/text novelties that aren't a must for those layouts. So if someone could guide me to templates for Tsangan/Ergodox/Planck etc that are THE BARE MINIMUM that would really help me, and therefor you guys that need it, out. Edit: Ergodox and Planck seem pretty forward with the Presets provided in keyboard-layout-editor.com, the Tsangan/Whitefox stuff is still a questionmark for me though. And your signature reminds me that there should be alternate keys for WIN, such as SUPER/META, but given the context, CODE might be the most appropriate one. Nothing is set in stone yet, should have left it at "fully sculpted" or so I think a poll in the upcoming Google survey will be a deciding factor. Sadly not everyone can be kept happy! I somewhat agree with the GMK logo+text, but in this case, the text can be seen as part of the git logo and branding. That Adelle font is also used throughout their web site and it is beautiful . But YMMV, I'll go along with whatever decision you make. I'm content with anything as long as the git kit gets produced . But CODE is great, would be the first time for SA. Great! That's my favorite SA sculpt. 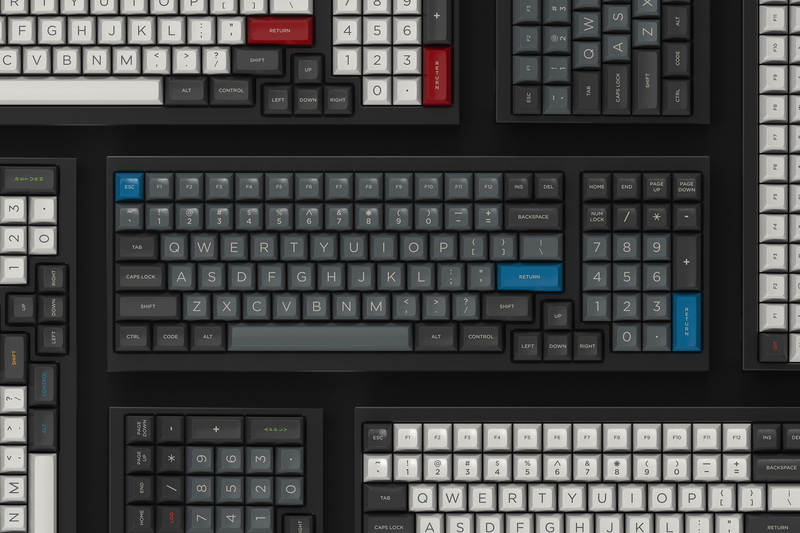 DSA/GMK would be amazing! SA is great, too though. Interested! I really like the set, especially the Chalk. Nothing much to add really, I'm buying if it comes to be is pretty much it. 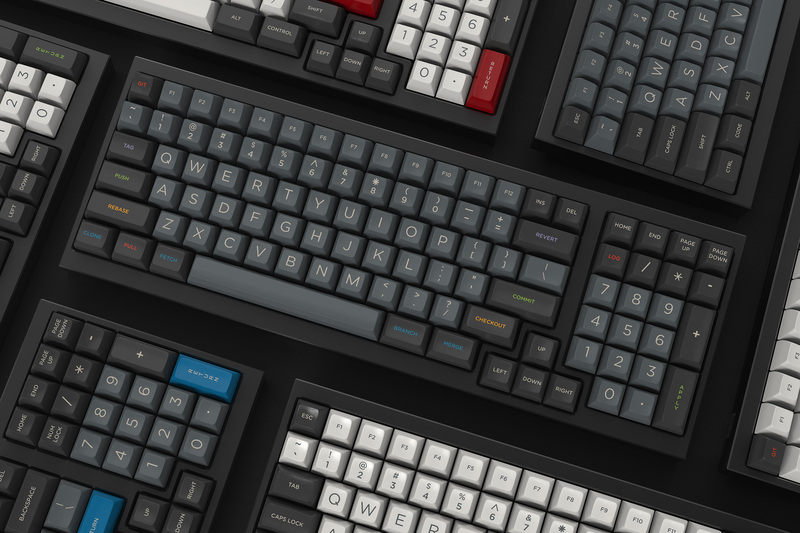 Oh and DSA would be my preferred profile for a set of this theme, sculpted/uniform SA is fine too though, not keen on GMK for this particular one especially given I already have plenty of their sets. Chalk and GMK and you have another supporter. My god this set is beautiful. Someone tell me if i missed anything. Really like the idea, concept and story behind the set. Might join this one if it goes GB. Good work! Keep it coming. I like. The monochromes/Quarry colors are my speed. 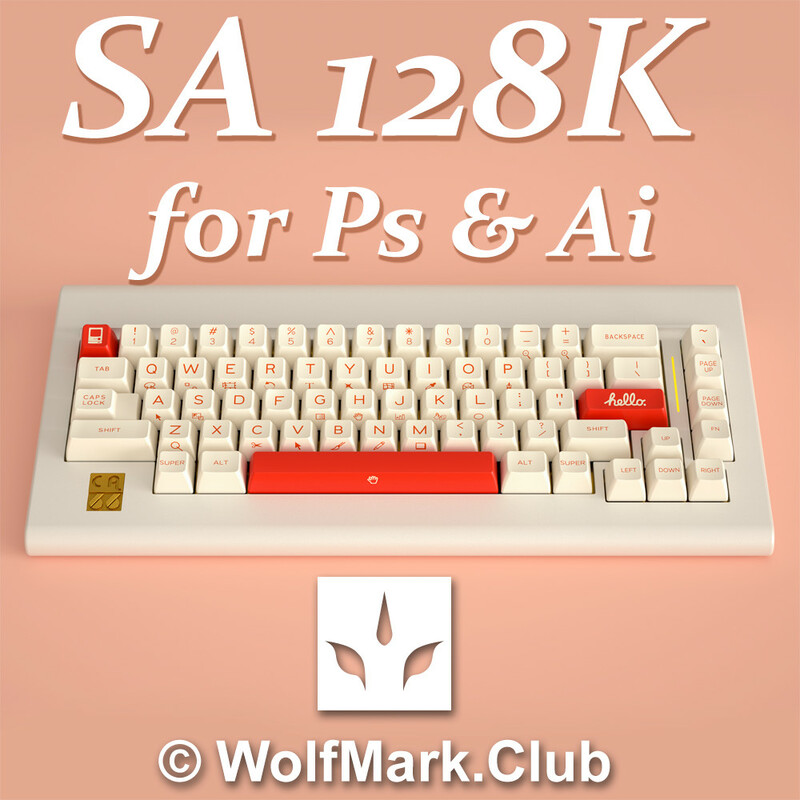 And I think I need an SA set in my life. If this goes DSA I'll probably get in on chalk and oblivion. 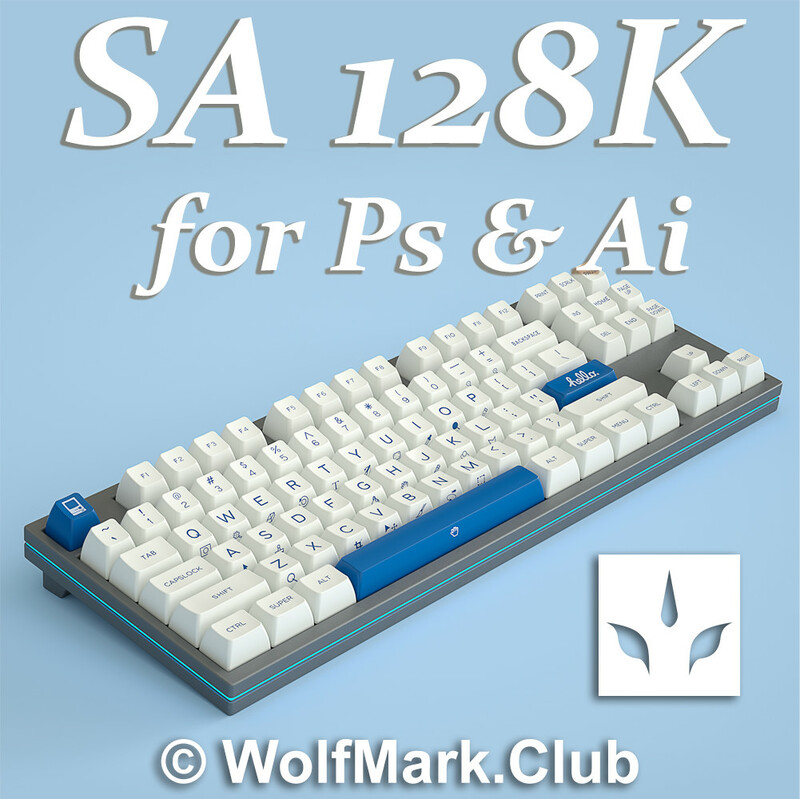 Definitely not getting if it is SA though. This looks like it would be very nice in sculptured SA profile.